A small Canadian company has been caught up in the scandal involving Cambridge Analytica, the British consulting firm that mined the data of 50 million Facebook users to aid their clients’ political campaigns, but just what is AggregateIQ and how is it connected to the data leak? 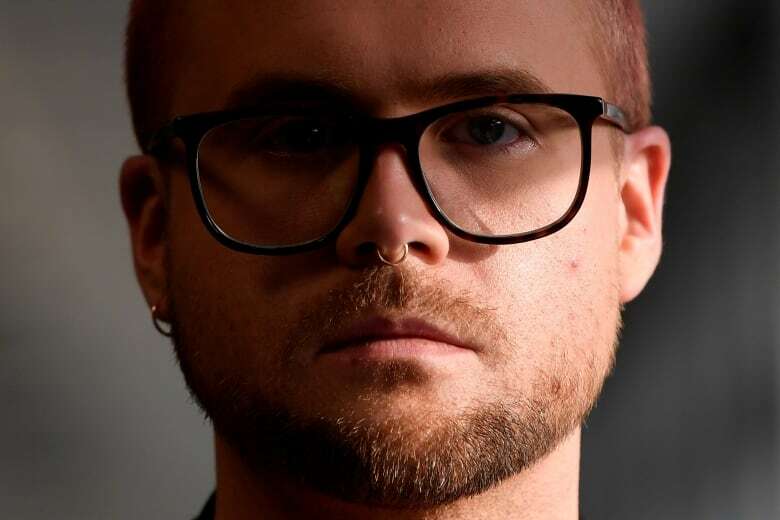 Whistleblower Christopher Wylie had some harsh words for his former employer Cambridge Analytica before a British parliamentary committee on Tuesday — delivered alongside new accusations about the practices of a small Canadian company called AggregateIQ. The Victoria-based firm has been linked to an alleged scheme to sidestep Brexit campaign spending limits in order to influence the outcome of the vote. But Wylie's testimony, taken together with documents obtained by CBC News, reveal a much wider range of political work for clients across the globe — at times, involving methods that Wylie said don't sit well with him. Who or what is AggregateIQ? Two Canadians, Jeff Silvester and Zack Massingham, co-founded AggregateIQ (AIQ) in 2013. 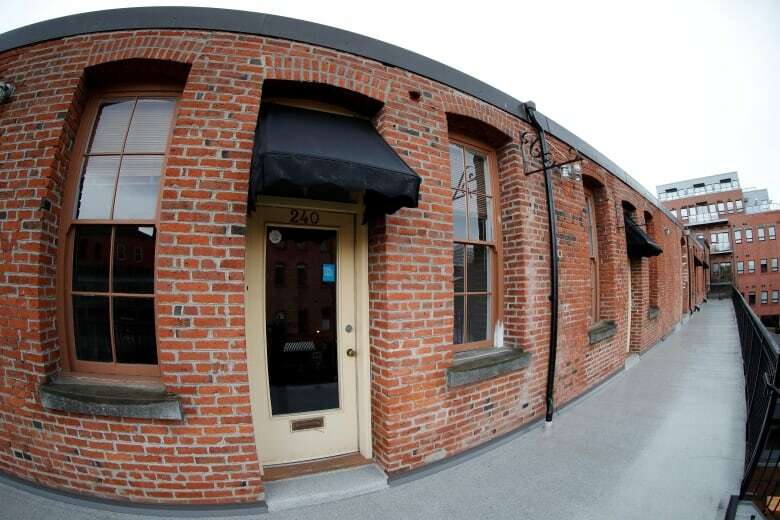 The company says it is in the business of online advertising and software development. Mostly it makes digital tools for political campaigns. Of course, lots of companies could fall under that description — but it's the methods that AggregateIQ is alleged to have used, and the high-profile clients the company has worked with, that makes it no run-of-the-mill political consultancy. What's its connection with Cambridge Analytica? According to Wylie, AggregateIQ was set up to do work for a company called SCL, the parent company of Cambridge Analytica. Wylie pitched Silvester on moving to London to work for SCL, but Silvester wanted to stay in Victoria. And thus AggregateIQ was born. From 2013 through 2016, the company did work for SCL — though, Silvester says, not for Cambridge Analytica. Wylie says SCL described AggregateIQ as its Canadian office, but Silvester disputes that characterization. What about all that Facebook user data that was shared with Cambridge Analytica? Wylie told British Parliament on Tuesday that AIQ developed software that relied on algorithms Cambridge Analytica had developed using the 50 million user profiles harvested in 2014 — and then used those algorithms for its clients' political campaigns to tailor the ads people saw. However, it's not clear that AIQ ever had direct access to the raw Facebook data itself. AggregateIQ posted a statement to its website on March 21, stating "AggregateIQ has never managed, nor did we ever have access to, any Facebook data or database allegedly obtained improperly by Cambridge Analytica." In a March 24 update to its website, this part of the statement was removed. Cambridge Analytica, for its part, told Reuters it had not shared any of the Facebook profile data with AggregateIQ. Then what sort of data did AggregateIQ have access to? The company's first contract with SCL was in 2013, for political work in Trinidad and Tobago with the country's Congress of the People party. AIQ's job was to create a constituent relationship management system, or CRM, which would allow the party to manage and communicate with its supporters. As part of the job, AIQ was tasked with harvesting browsing history, social media data and IP addresses that could be linked to home addresses or census data — in short, behavioural data that would "contribute to the development of psychographic profiling in the region," a copy of the contract with SCL reads. For this they got paid $200,000 US, and it laid the groundwork for AIQ's next big project with SCL: the creation of the Ripon platform. Named after the town in Wisconsin where the Republican party was founded, Wylie has described Ripon as the software that integrated Cambridge Analytica's psychographic algorithms with online advertising platforms for political campaigns. In other words, it's what let political groups target users with ads that were tailored to their particular personality traits. Work on Ripon began in 2014, building on its efforts in Trinidad and Tobago. A contract between AIQ and SCL for $575,000 Cdn obtained by CBC News outlines the creation of a system to help political campaigns co-ordinate canvassing activities, measure the performance of volunteers, and an extensive outreach management system for everything from robocalls and emails to targeted ads online. What did they use it for? We know that Ripon was used for Ted Cruz's 2016 presidential campaign, and for Greg Abbott's successful 2014 bid to become governor of Texas. AIQ-developed apps for both campaigns can still be found in the Apple and Google app stores. Although there is some debate as to whether the software actually worked as promised, nothing about it was illegal on its face. That doesn't sound too unusual. Why is this company in hot water? For that, we turn to Brexit — perhaps the highest profile campaign to involve AIQ. We know that the company helped campaigns on the Leave side of the EU referendum — notably Vote Leave and BeLeave — target U.K. voters with advertising on social media. But there are allegations that the two campaigns worked together to sidestep campaign spending rules in an effort to sway the outcome of the vote, and used AIQ to do it. Whistleblower Shahmir Sanni told CBC News that Vote Leave and BeLeave — although they maintained they were separate, and had their own separate spending caps — actually co-ordinated to spend more than legally allowed on advertising services from AIQ. Co-ordinating campaigns are supposed to share a single spending cap. Whether the company was in on the alleged scheme is not clear. In his testimony before Parliament, Wylie said he believes it is "reasonable" to conclude that financial "cheating" in the Brexit vote may have altered the outcome. Is that the worst of it? There is another campaign that Wylie discussed on Tuesday — one that Cambridge Analytica was planning for Nigeria's upcoming presidential election around the time he left the firm in 2014. 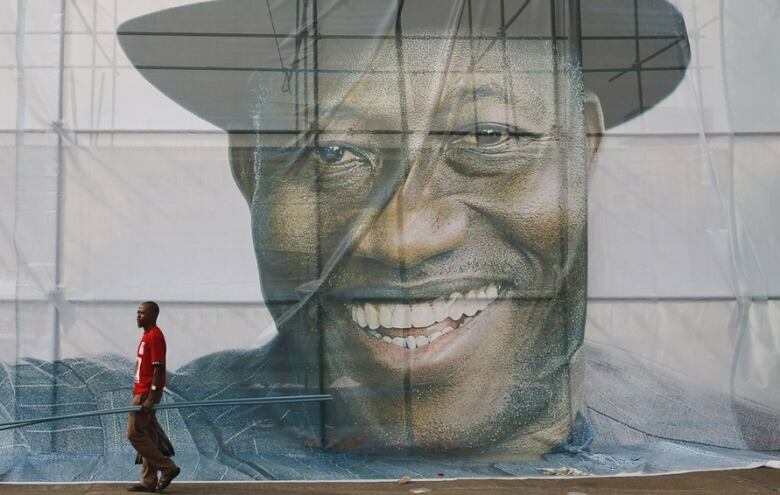 Wylie told British Parliament that AggregateIQ was given "incredibly threatening and violent video content" by Cambridge Analytica to distribute online as part of a political advertising campaign in support of the incumbent then-President Goodluck Jonathan. "They were given videos from Cambridge Analytica that showed people being burned alive, that showed people being, you know, macheted to death," Wylie told CBC News, echoing his testimony. "And for AIQ to then take the responsibility of distributing those videos in places that would intimidate voters in Nigeria, for example, I think that says a lot about the lengths that the company is willing to go to do what their clients want. "This is a company that really doesn't consider the ethics of its actions," he said. So what is AggregateIQ doing now? It appears that AIQ is now working on the 2019 Ukrainian election campaign. At the beginning of the year it published an app on both the Apple and Google app stores called Osnova — named after a Ukrainian political party — using the same developer account behind its Ted Cruz and Greg Abbott apps. The app appears to look and function similarly as well. 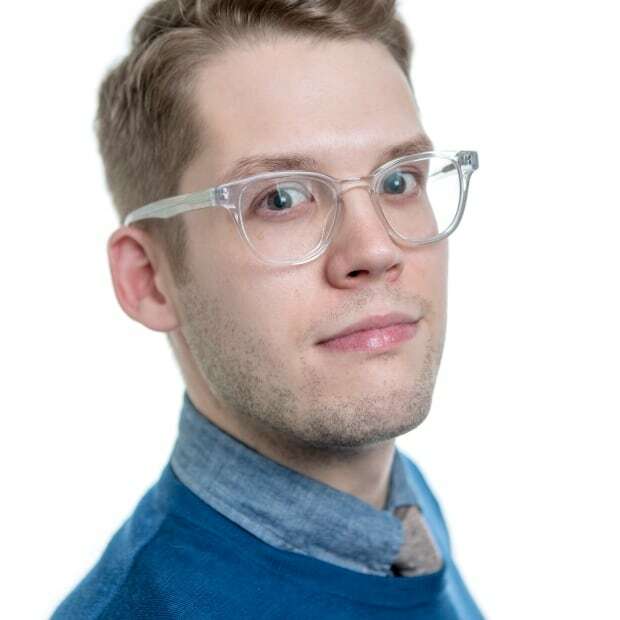 Chris Vickery, director of cyber-risk research at the security firm UpGuard, analyzed a repository of code that AggregateIQ left exposed online. He says the app communicates with the web domain osnova.aggregateiq.com. An on Monday Gizmodo published its analysis of the repository, and found that the company also once pitched an app to Breitbart News. Will the company face any consequences? This remains to be seen. The company is being investigated by the both the U.K.'s Electoral Commission and the U.K. information commissioner, Elizabeth Denham, for its role in the EU referendum. "AggregateIQ has not been especially co-operative with our investigation," Denham told the Guardian. "We are taking further steps in that matter." British Columbia's Information and Privacy Commissioner is also investigating the company. "We are concerned that people's personal information is being used for purposes that they're not aware of, without their consent," acting commissioner Drew McArthur told CBC News last week. What does AggregateIQ have to say about all this? The company didn't respond to a request for comment on Tuesday. 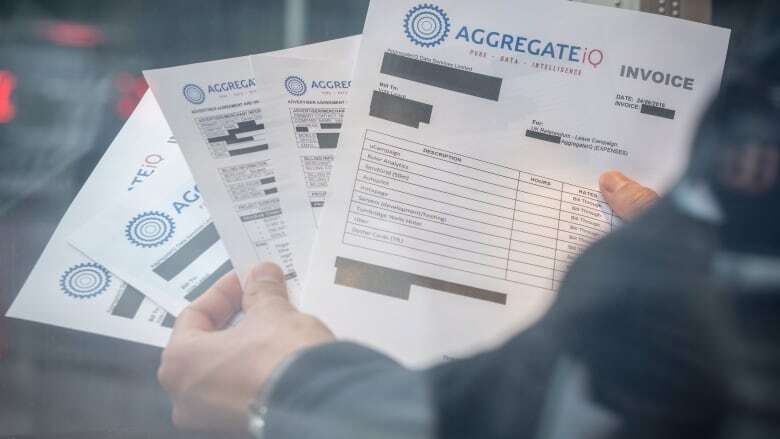 But it has said previously that "AggregateIQ works in full compliance within all legal and regulatory requirements in all jurisdictions where it operates" and "has never knowingly been involved in any illegal activity." Silvester said the company is "co-operating fully" with the B.C. 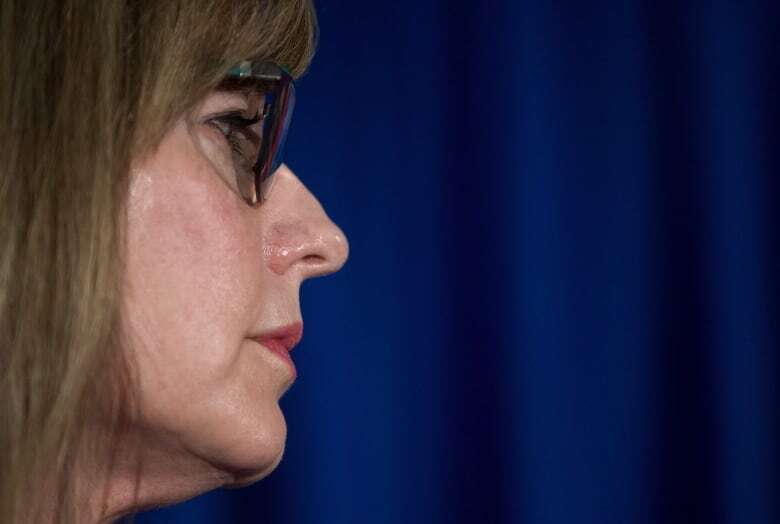 's information and privacy commissioner's investigation, and, in a separate statement to the Times Colonist, said they are co-operating with the U.K. information commissioner as well. ​If you have a tip, you can contact this reporter securely using Signal or WhatsApp at +1 416 316 4872, or via email at matthew.braga@cbc.ca. For particularly sensitive messages or documents, consider using Secure Drop, an anonymous, confidential system for sharing encrypted information with CBC News.